Mr David Pettavel was born in Boudry, Switzerland and emigrated to Australia in 1842 aboard the barque Platina. Upon landing at Port Phillip, Pettavel continued directly to the hills of Geelong. He set about planting the regions first vineyard. The ancient Australian soils, protected by their very remoteness from the ravages of disease, proved fertile and suitable for young grape vines. The rapid expansion and development of the wine industry in Geelong halted abruptly in the late 1870’s with the passing of Mr David Pettavel and other driving pioneers. In addition, the arrival of phylloxera and its devastating effects on the vineyards. The gold rush proved a temptation for many vigneron’s and labour shortages prevented vineyards from being replanted. An English cottage was set up during this year. The enduring structure with period elegance provides the opportunity to see the lifestyle back then. The beautiful glass motif and fireplaces represent the period statement of the time. The first vineyard was set up at a time when Geelong was going through a renaissance for vine growing and wine making. The natural soil feature and cool climate has always been sought after by wine growers who endeavour to make the best wine possible. The French vineyard is a reproduction of how the French manually craft the grapes that can make great wine. On the sunny slope of the property and in front of the English cottage, the French Vineyards stands out proudly in nurturing the delicious grapes for our premium wines. The state of the art winery Pettavel was constructed in 2001. 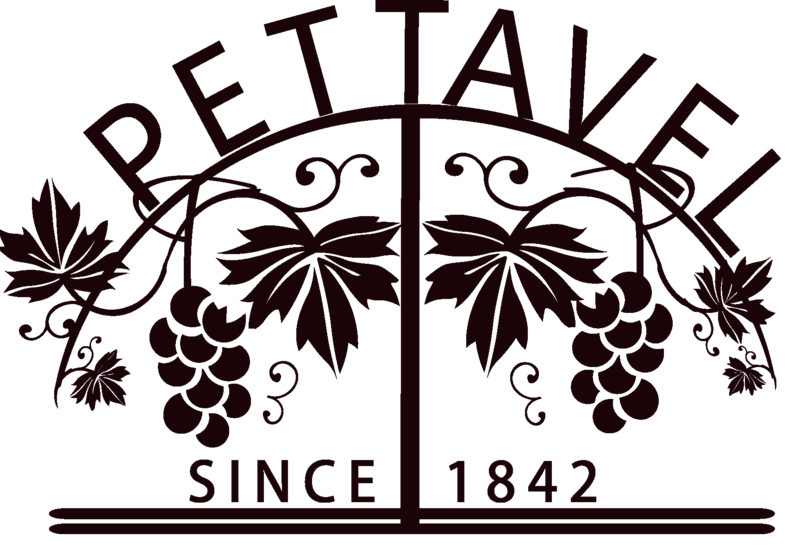 In 2002 processing of wines under the Pettavel brand began. This was also the 160 year history of Pettavel who pioneered the Geelong wine region in 1842. To improve the irrigation system and water quality an advanced desalination plant was built to ensure grape quality and production tonnage. Such an investment was never before attempted in Australia and has never been attempted by other vineyards due to the investment required. This investment however means that no matter what the climate is during the year the vineyards are always full of prosperity. Pettavel Group aquires Meroo of Yarra Glen Vineyard that was one of largest private vienyard in the area. Merro is just north of the township and used to be part of Gulf Station–first farm of Victoriain 1838. Pettavel Wine was selected for the Premiere party in Melbourne in July 2013. Around 300 outstanding people including Prime Minister Kevin Rudd and Bob Hawke were in the party. Outstanding Melbourne business people were awarded for their contribution to local economic development.